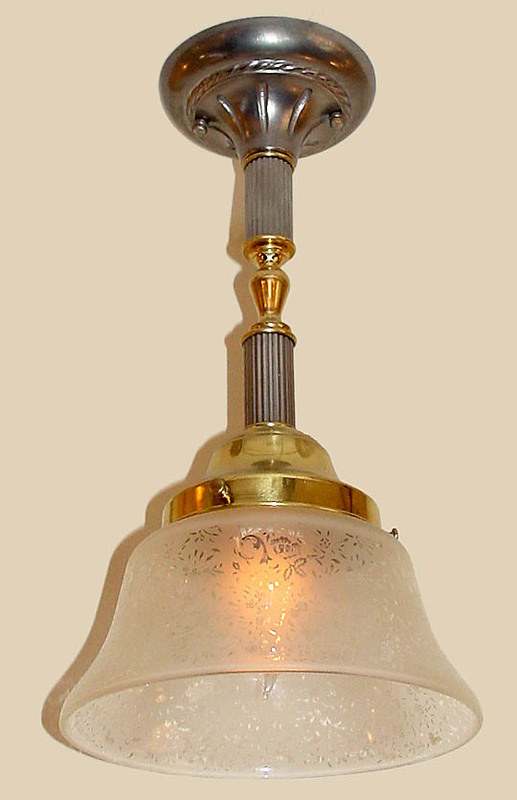 A country English pendant in mixed metals and reeded tubing really shows it off! Your choice of hanging length! Shown in Pewter and Polished Brass. Available in different Metal Finishes, different Glass, Back Plate, multiple arms and many other Custom Options. Width 7.5 In. / Height 15 In. or Custom.